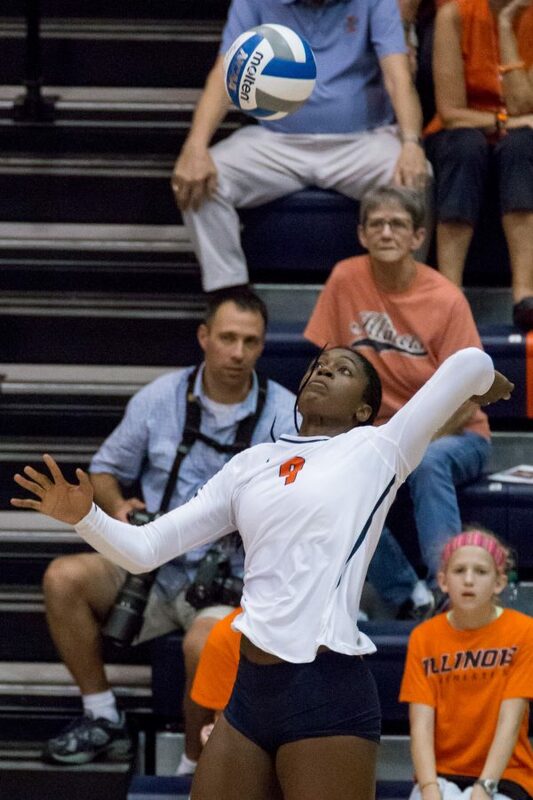 Illinois opposite hitter Naya Crittenden gets ready to spike the ball during the match against Arkansas at Huff Hall on August 26. 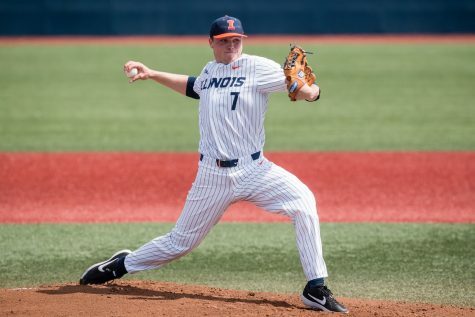 The Illini won 3-0. When the Illinois volleyball team tipped off against the No. 2 Wisconsin Badgers on Saturday night in Madison, Wisconsin, the team came out flat. Looking unprepared mentally and out-matched on the court, the Illini lost the first set, 25-15. The Badgers looked sharp, defensively sound and aggressive in their attacks. However, by the time the final point of the second set dropped, Illinois was back in the game with a 25-18 set win. In the third set, the Illini looked to take charge again, taking a commanding six-point lead at 23-17. 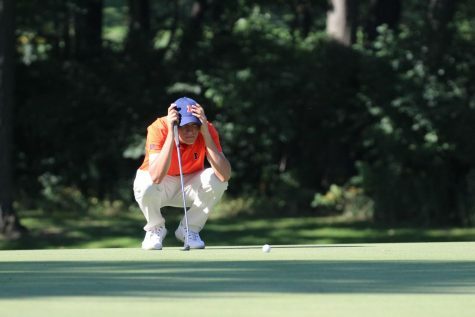 But, coming out of a Wisconsin timeout, things began to fall apart for the Illini. The passing, defense and organization all began to fail as the Badgers went on a 9-1 run to steal the set and reclaim the momentum of the match. 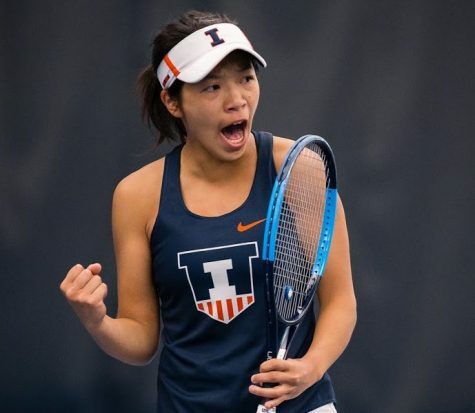 While the Illini continued to fight through the fourth set, they were never able to rediscover the form that they had in the second set, and the Badgers took set four and the match. 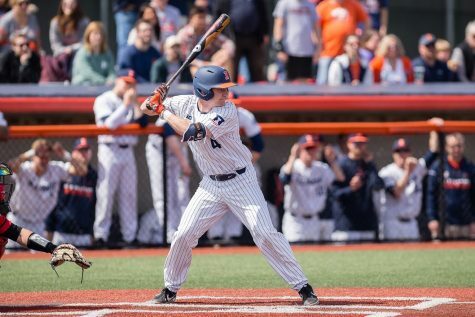 For the Illini, consistency continues to be a major issue. In middle blocker Ali Bastianelli’s mind, that consistency is one of the key factors separating the Illini from top teams like Nebraska and Wisconsin. Crittenden had a strong performance, leading the team with 13 kills and hitting at a .310 clip. But she also been inconsistent. 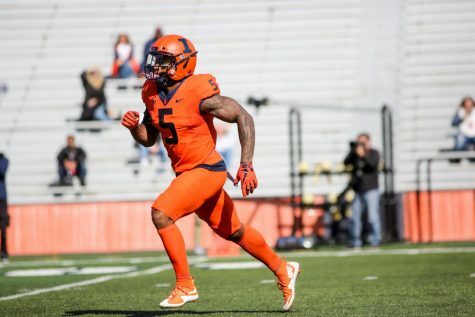 The Illini were frustrated after the game to have fought so hard and come out of Madison without anything to show for it. But libero Brandi Donnelly came away with a positive outlook.